Our time in Sichuan came to an end today, which is a pity as there is so much we haven’t seen in this region! 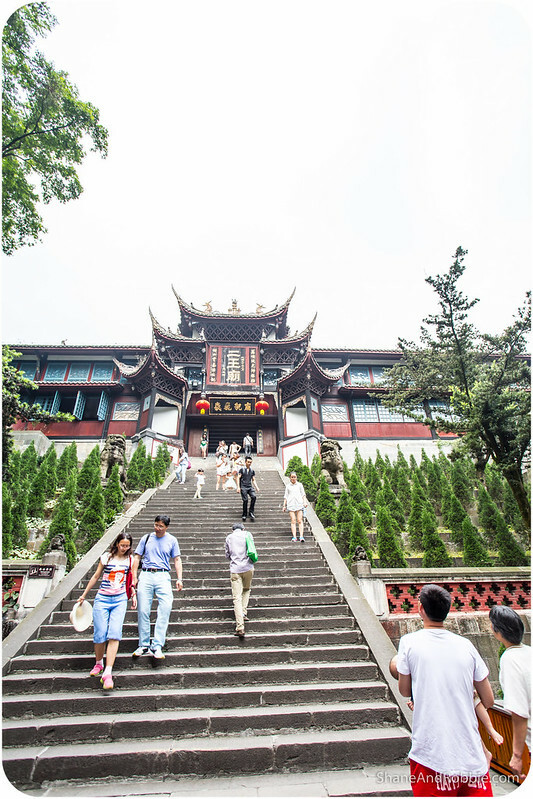 But, as we keep reminding ourselves, this is just our initial foray into China – a sampler of the highlights to give us a taste of what this vast and ancient country has to entice and excite visitors like us. And no highlights tour would be complete without a cruise down the Yangtze River – which is where we’re headed next! 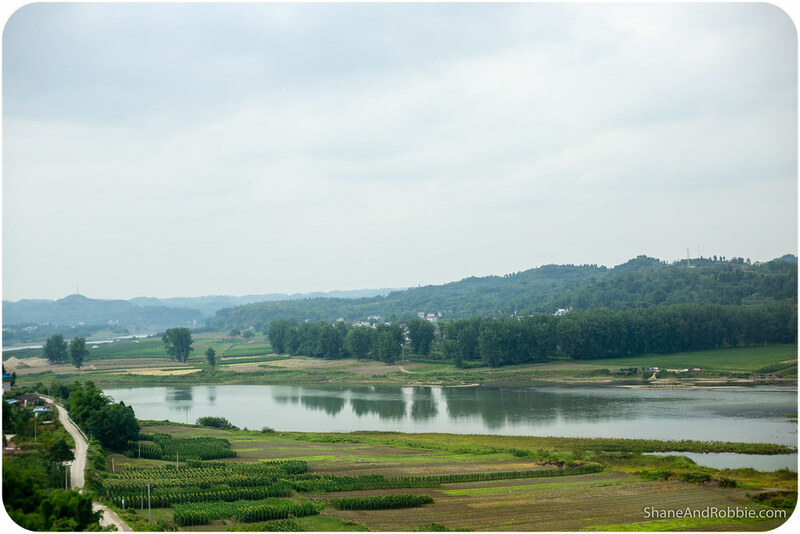 Before leaving Chengdu we managed to do a little bit more sightseeing with a morning trip to the Dujiangyan Irrigation Area. 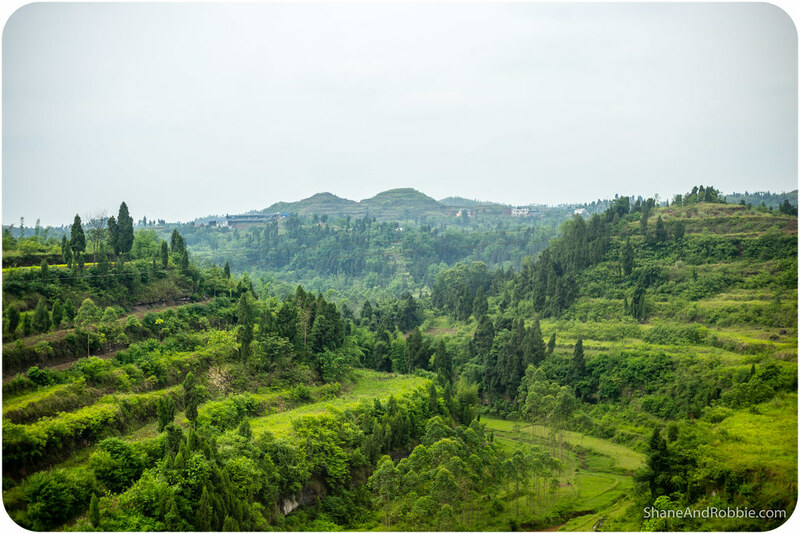 This site, some 50km north of Chengdu city, is more interesting than its name implies. Built in 256BC this feat of engineering is one of the things that has contributed to Chengdu’s wealth and prosperity as a city. 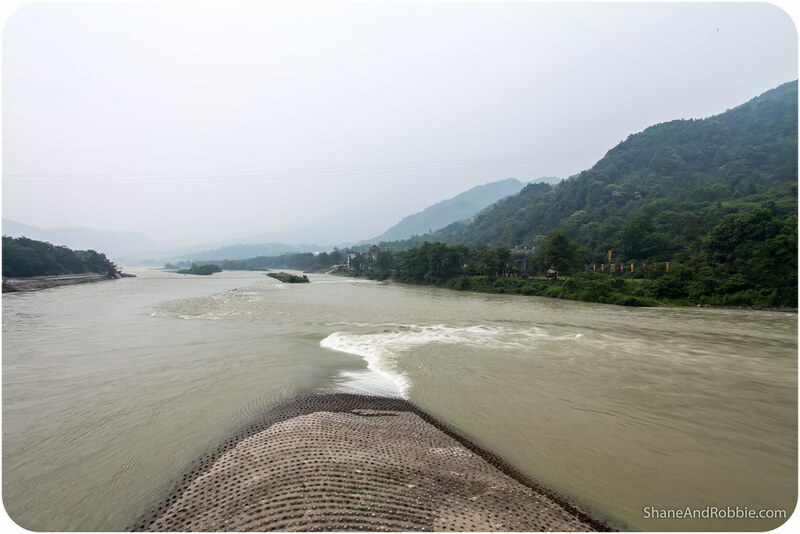 It’s basically a system of levees, weirs and channels designed to control the flow of the Min and Tuo Rivers and ensure sufficient water is funnelled towards Chengdu in the dry season; in times of high rainfall, it diverts flood waters away from the city. The irrigation system was so well designed that it’s still in use today and has been listed as a UNESCO World Heritage Site. The fact that it was designed and built some 2,250 years ago makes it all the more amazing. 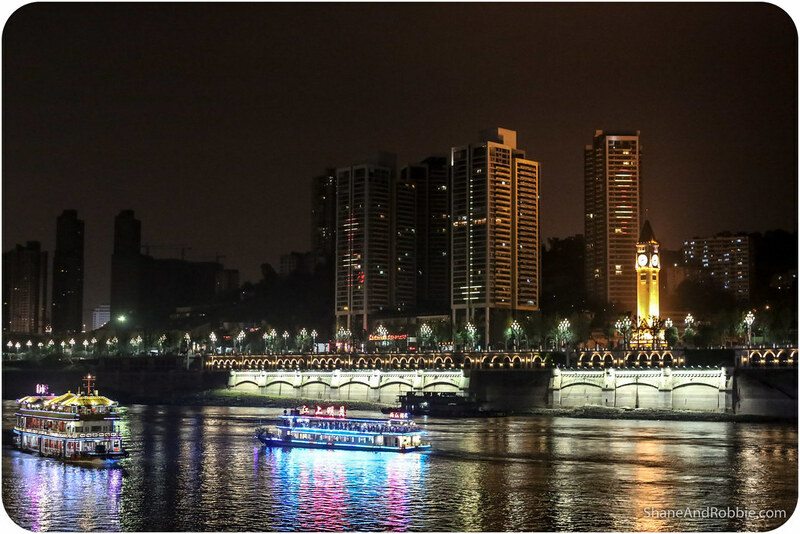 Geographically Chengdu is located in the Sichuan Basin, surrounded by mountains. 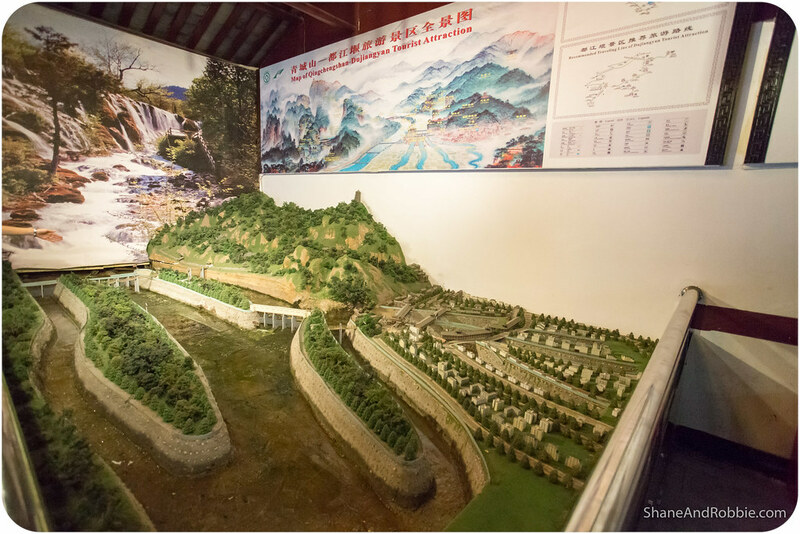 The Min and Tuo Rivers, 2 branches of the Yangtze River, pass near the city and, in the years before the irrigation system was constructed, the area was regularly flooded during the summer rainy season. Conversely, in periods of drought, there was insufficient water for crop production and famines were common. Tasked with solving the problem, imperial engineer Li Bing investigated the problem and discovered that the river swelled by fast flowing spring melt-water from the local mountains that burst the banks when it reached the slow moving and heavily silted stretch near the city. One solution would have been to build a dam but Li Bing had also been charged with keeping the waterway open for trade and military vessels, so instead he designed a system that would redirect a portion of the river’s flow towards Chengdu and the surrounding farming area (for times of drought), but also discharge excess water away from the area during times of high water flow. The most challenging part of the project was finding a way to remove the mountain that was in the way. This was prior to the invention of gunpowder, so to remove the monolithic obstacle Li Bing and his team used a combination of fire and water to heat and cool the rocks until they cracked and could be carted away. 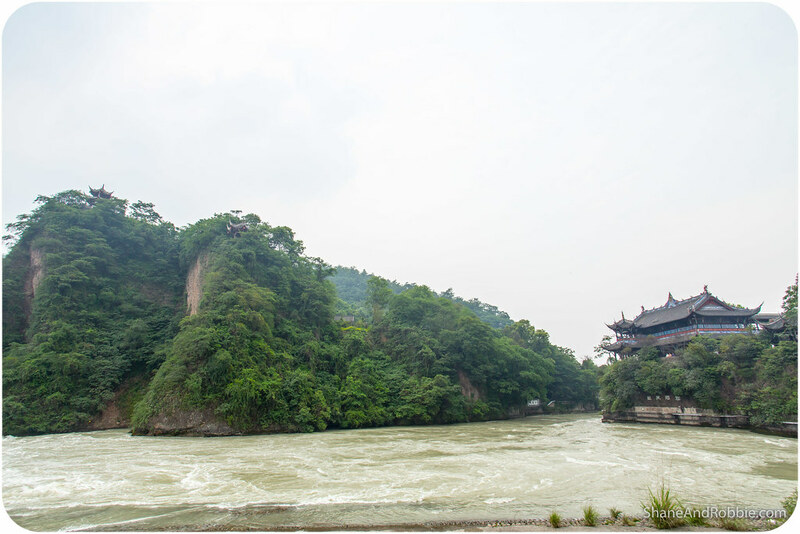 Even today we could still see the jagged remnants of the mountain that had been removed to make way for the Dujiangyan irrigation system. Records show that after the system was finished, no more floods occurred and water shortages were very rare. In gratitude for Li Bing’s engineering achievement a shrine has been built in remembrance of Li Bing. 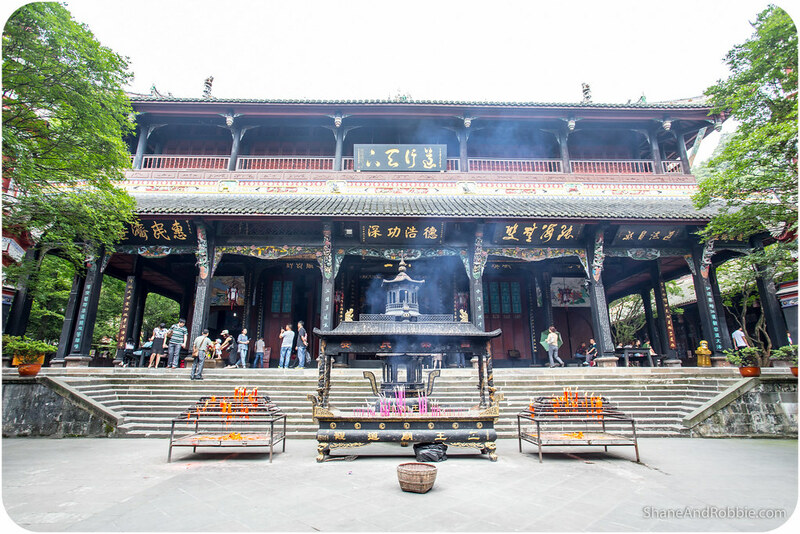 We took a stroll through the temple, admiring the intricate architectural details and enjoying the scent of incense in the air from worshippers coming to pay their respects. Li Bing’s construction is also credited with giving the people of the region a laid-back attitude to life; by eliminating disaster and ensuring a regular and bountiful harvest, it has left them with plenty of free time. The system has produced comprehensive benefits in flood control, irrigation, water transport and general water consumption; even today it helps irrigate almost 700,000 hectares of farmland. That’s figures even we, as non-engineers, can admire and respect! 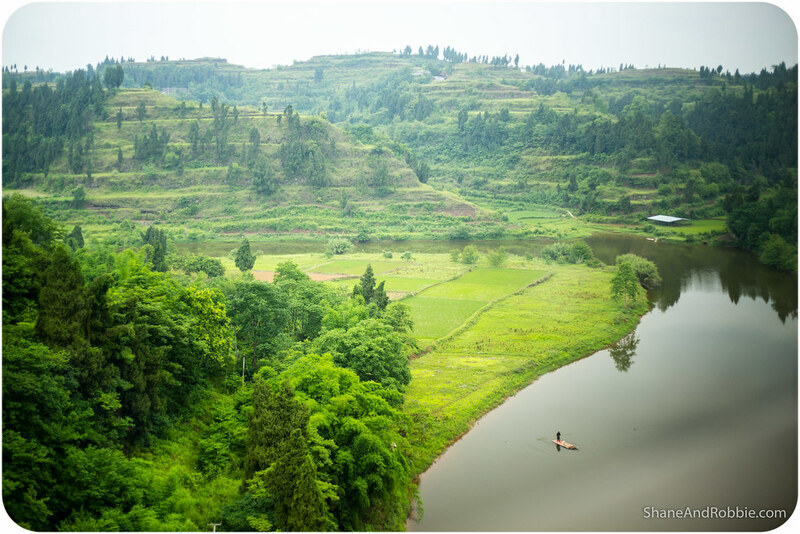 We left Chengdu after our visit to the Dujiangyan Irrigation Area and sped to Chongqing city by train. The ride was comfortable and fast – the 325km journey took us just 2 hours. The views along the way alternated between lush green fields of rice, corn and barley, and monolithic high-rises and hazy cityscapes. The contrast between the rustic, rural villages and the modern cities was quite marked. We didn’t see much of Chongqing at the other end as we were picked up and taken straight to our ship in preparation for our 3 day cruise down the Yangtze River. 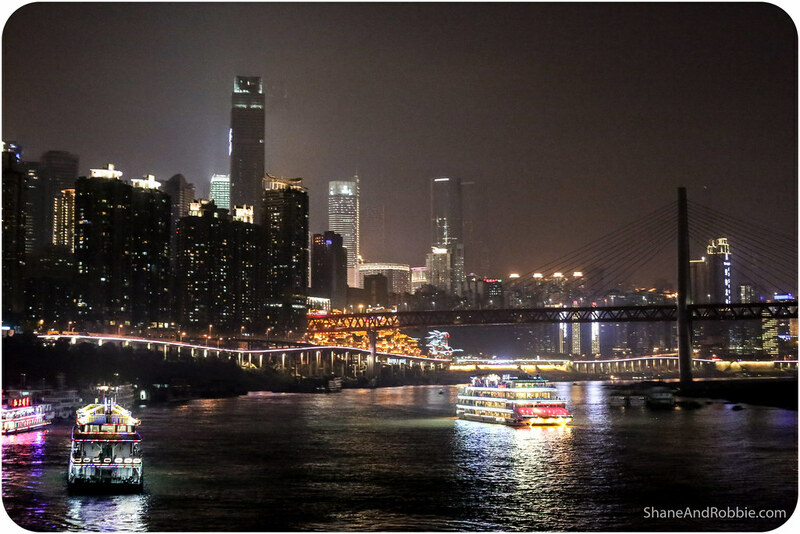 All we saw were the bright city lights as our cruise ship pulled out into the flow of the Yangtze River, and there sure were a lot of them! 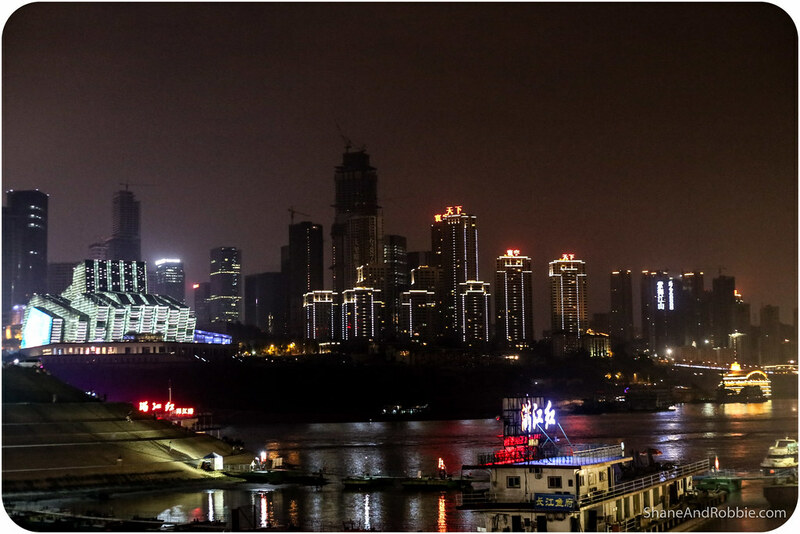 With a population of 33 million, Chongqing is one of China’s biggest cities and a global hub for car manufacturing. With a span of 6,300km the Yangtze River (known as the Chang Yiang in Chinese) is China’s longest river and the world’s third longest. This huge waterway starts up in the mountains of Tibet and goes all the way to the ocean, emptying just near Shanghai. The Yangtze has been an important transportation route for several thousand years, and still is. 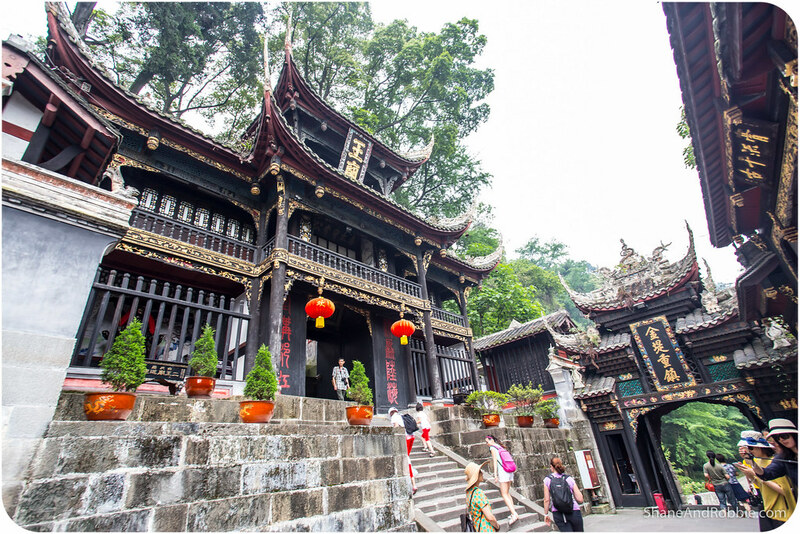 We’re not big fans of cruising holidays, but, like cruising down the Nile River, this short 3 day jaunt down the Yangtze River has been on our “must do” list and so, here we are! 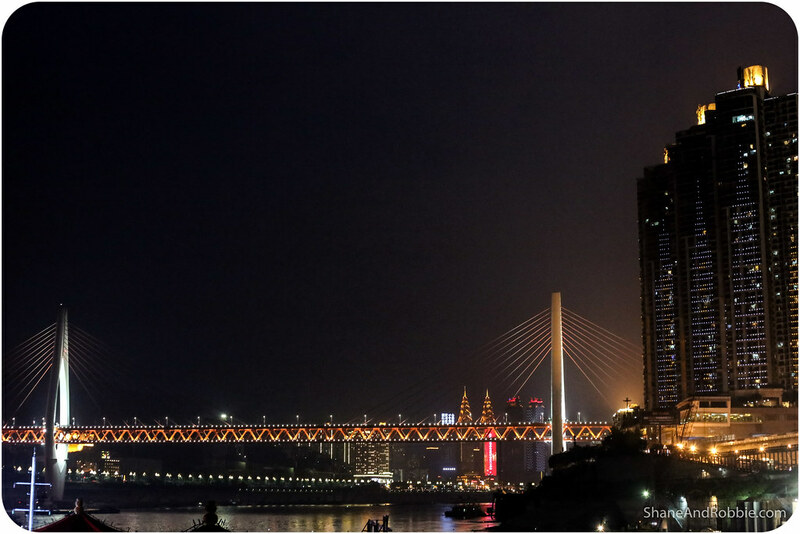 We’re not cruising very much of the river, just the stretch from Chongqing to Yichang; which basically means the bit that runs through the scenic Three Gorges area and then through the controversial Three Gorges Dam. There are a multitude of options one can take when cruising down this part of the Yangtze: from basic ferries for about $100AUD (with communal dorms, communal bathrooms, no scenic stops, and just a very basic level of service for the 36 hour journey, this was NEVER going to be an option for us! ); to mid-level cruise boats which cater mainly for domestic Chinese tourists (here you get a bunk bed in a shared room of 4, a shared bathroom with a squat toilet only, and a few scenic stops for about $300AUD for 2 nights/3 days); or the “luxury liners” that cater mainly for foreign tourists and cruise downstream nice and slowly, taking in all the sights along the way (they also include all the perks cream puffs* like us like – including private bathrooms where no squatting is required). 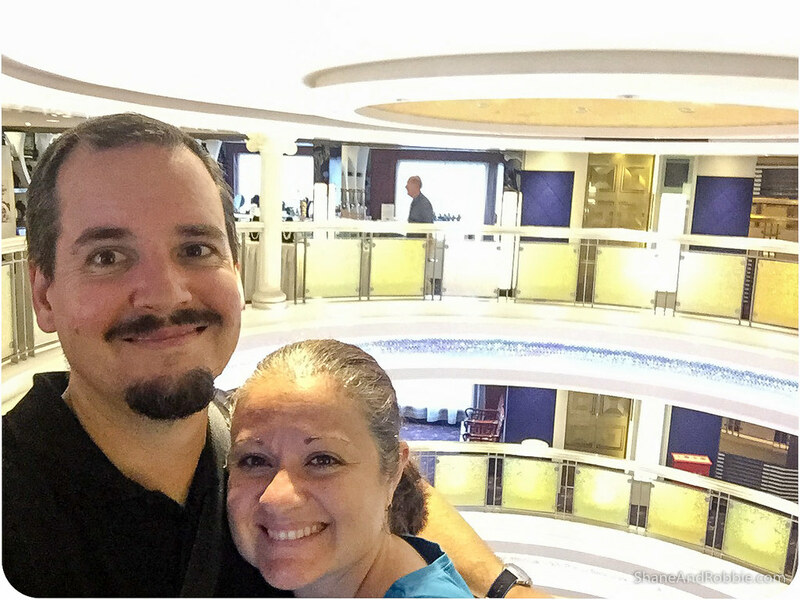 Unsurprisingly we’ve chosen to go with the luxury category and even upgraded our room to a suite with a little lounge room, a balcony, and a king size bed. Oooooh yeah…..
*Cream puff = Spoilt tourist who’s used to a certain level of comfort. Just like a cream pastry, said tourist is often quite soft and spongy in places.